The Auto Care Association represents the automotive aftermarket as a whole and includes subgroup organizations: Automotive Content Professionals Network (ACPN), Automotive Warehouse Distributors Association (AWDA), Car Care Professionals Network (CCPN), Heavy Duty (HDDA), Import Vehicle Community (IVC), Manufacturer’s Representatives, Paint, Body and Equipment Specialists (PBES), Tool and Equipment, Upholstery and Trim International Council (UTIC) and Young Auto Care Network Group (YANG). 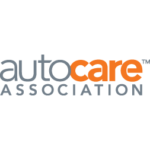 The Auto Care Association also operates the Car Care Council, which in turn promotes the public-facing Be Car Care Aware campaign. Companies are eligible for membership if they manufacture, supply, distribute or sell parts and supplies for the auto care industry, or if they provide management, marketing or other business services to the auto care industry. Members include manufacturers, distributors, parts stores, service and repair shops, importers, business services, manufacturers’ reps and more, from all major product segments of the industry including automotive; heavy duty truck; engine rebuilding; trim, paint and body;, electrical; tools and equipment; and other specialized sectors. To join Auto Care Association click here. Please note this website is not an official representative of the Auto Care Association. The Auto Care Association, its segments and services are trademarks and/or service marks owned by the Auto Care Association.